Performance of self-storage investments has been strong and steadily profitable for years, with no signs of a decline. Savvy investors recognize that the self-storage industry offers a low-risk opportunity to increase income. The following provides insights into the wisdom of self-storage investing. While a 401K investment can dip and rise like a roller coaster, self-storage facilities are like a steady locomotive reaching its destinations on schedule. The difference has to do with the economy. Many investments are directly affected by the health of the economy, and some sectors are as vulnerable as a person with a weakened immune system. Self-storage investments, on the other hand, thrive in every economic climate. During good times, people buy things that need to be stored. When money is tighter, people downsize their place of residence and need storage for their surplus of belongings. Self-storage owners can increase their income with little to no expense. Adding administrative fees, increasing late fees, and raising rent on storage units are all simple adjustments that can increase profits. Offering rental trucks can also boost income. 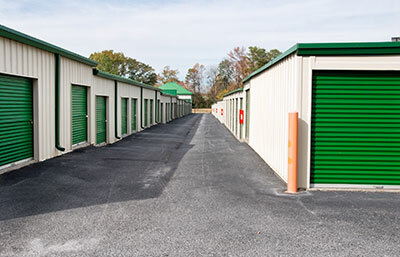 These are just a few of many ways to add value to a self-storage property. As self-storage is on pace to become as big as McDonald’s, Starbucks, and Subway combined, optimal industry strategies are changing. Nowadays, investors buy and upgrade mom-and-pop self-storage facilities to increase its value and income. Then the owners refinance or sell to a bank, mutual fund, or some other institutional investor. Only about 13.2% of millennials (adults up to 34 years old) own a home. In this age group, people don’t feel it’s the right time to settle in one location. Many are open to moving for a higher wage. Millennials also enjoy the amenities, community, flexibility, and convenience of apartment life. They tend to buy expensive toys that need storage, as well, such as boats, jet skis, surfboards, and all-terrain vehicles. The age group encompassing baby boomers has gotten up in years. As this generously populated generation continues aging, the death rate will continue to increase. It is common for family members to put their loved ones’ lifetime of belongings in storage. Sentimentality makes it tough to let go, placing storage units in ever-higher demand. In more than half of all U.S. housing markets, renting is more affordable than buying. Apartments don’t have the amount of space most people need for all of their possessions. A large percentage of self-storage customers are apartment dwellers. Self-storage investing is also looking good because multi-family units makes up an increasingly large share of spending on new construction. Unlike the residential real estate industry, the self-storage industry is immune to value limitations due to decreases in value of comparable properties in the area. You can strategically and dramatically increase your storage facility’s value because of the way value is calculated for commercial real estate. Experts at Weaver Realty Group specialize in the acquisition, disposition, and evaluation of all sizes and types of self-storage properties. As the Argus Self Storage Network Affiliate in Florida, Weaver has the knowledge and connections to provide an advantage to clients seeking to buy or sell self-storage investment facilities. Contact Josh Koerner of Weaver Realty Group at (904) 591-0140 today to learn more about money-spinning self-storage investing. Copyright 2019 Weaver Realty Group. All Rights Reserved.